I saw “Noah” today so I could review it. I’m letting my thoughts churn on it. From a Biblical perspective, the new “Noah” film is an utter disappointment. It is absolutely terrible. Save your money and time. Don’t go see this movie (wait for that $1 DVD rental if you really have to see it). Ray Comfort just put out a 30 minute film called “Noah And the Last Days.” See below. 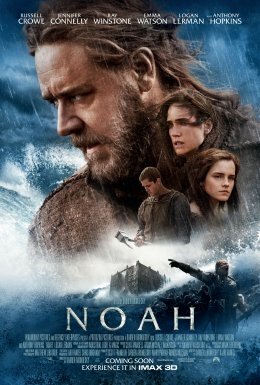 This entry was posted in Entertainment, Movie Reviews and tagged Ari Handel, Darren Aronofsky, film review, Noah, Noah And the Last Days, Noah movie, Paramount Pictures, Protozoa Pictures, Ray Comfort, Regency Enterprises, Russell Crowe. Bookmark the permalink.